Bullsh*t. By generalizing your dislike of books based on the previous books that you read and didn’t like is not only erroneous, but offensive to them books! I consider books as my mentors, and sources of entertainment and solace. They are like films, but with much more space for your imagination to run wild. You only need to find that one book that gets you hooked, and you are on. Why do you want to read? What purpose do you have? What motivates you? We can easily classify our motivation to read in 2 ways: extrinsic and intrinsic. If you want to read because your teacher, parent or someone else asked you to do so, that’s an extrinsic motivation. Your rewards may vary from good grades to praise to awards. And this is a great motivator to start with. But it’s not enough. The other form of motivation – and usually the harder one to gain – is intrinsic motivation. This means that your desire to read comes because you genuinely find it rewarding for yourself. Reading fiction to improve your imagination. Self-growth books to improve your emotional intelligence. 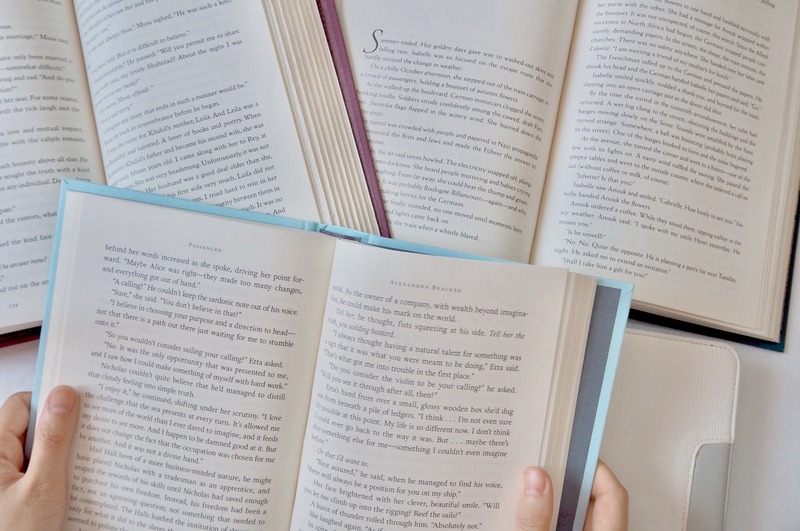 Novels with complex characters to make you more empathetic. If you truly recognize these benefits from your reading, all the other external factors and rewards will not affect your choice to do so, because your purpose to read already goes beyond what’s superficial. When you reach such conclusion, congrats! You have found your true inner purpose. In my case, I started reading to learn English. That was back when I was in 3rd grade, and poor 8 year-old-me suffered in English classes. So I made myself read a book. Every. Single. Day. And this forceful action that took place for months gradually became a passion that I haven’t let go of, and it’s been 10 years since that event. Morning, afternoon, and night. That’s pretty much the three standard parts in our day-to-day basis. The key to reading a little everyday is to ingrain it as part of your routine in at least one part of your day. The first thing I do every morning (after I get up, brush my teeth, and make my bed) is read while I’m having breakfast. Breakfast = reading time. I have made this such an integral part of my routine that I do it automatically every morning. I know that you, the person reading this, probably don’t have the time to read during weekday mornings, as you probably have to rush off to school or work, but there are always other options! The “don’t have time” excuse is no longer valid for today. Get yourself a subscription to Audible and find the book you’re most excited to read, and buy it. I know it’s more expensive, but if you value time and knowledge over money, it’ll be worth it. The thing about audiobooks is that you can multitask at the same time. If you’re on the bus or driving – listen to Audible. If you’re walking to work or exercising – listen to Audible. 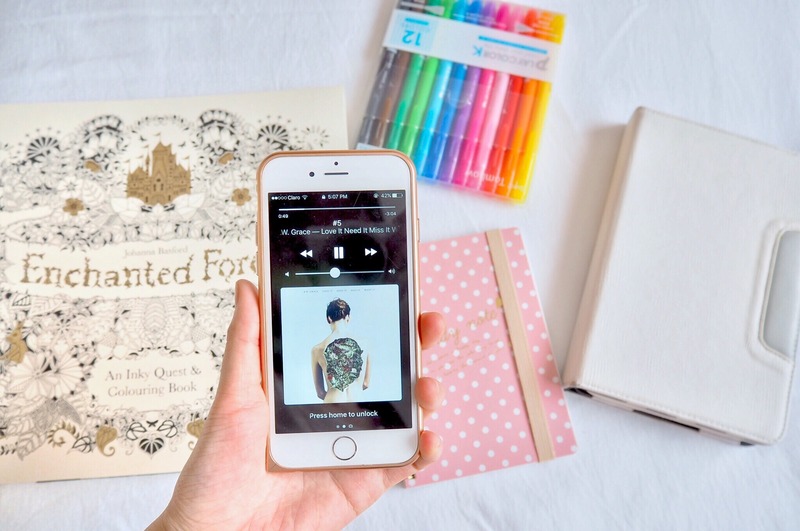 If you’re painting mindlessly or making collages – listen to Audible. As long as your mind can focus on the story, you can listen to the book. I take my bible- I mean, Kindle– everywhere. It has a very pretty case (which you can see in all the images above), so it makes the perfect accessory for me to carry. Expand your book genres as well as book types. Have books about fiction, comics, business, mystery, and even coloring books if they make you happy (they sure make me happy), make sure you have at least a few in print, electronic and audio. That way, books will surround you (muahahah). I always have 3+ current reads. And they’re usually of different genres, so there’s always something I can read depending on my mood. I go to bookstores at every given opportunity. Once there, I can browse books that I find interesting and note them down on Goodreads. I might buy a book or two, but normally I’ll then go home and start reading them all on my Kindle. This is so that I don’t have to deal with the burden of book weight, and because Kindle books are always cheaper. Buy books in print if they have a lot of visual content/diagrams. Or just buy them all in print, if you like the touch and smell of books. Oh, I also like to showcase them pretty books on my shelves, obviously. You will be able to call yourself a bibliophile. It’s something that everyone can do, but not everyone does. And every bibliophile knows what a non-bibliophile is missing. Join the club. I know that this was a (long) post about reading, which is not everyone’s cup of tea. But I do believe that it’s a great way to become an autodidact, and to take control of how and what you learn, as well as your actions and motivations. Like many activities, reading is something that, while may be initially challenging, can become such an integral and rewarding part of your life. aww wow thank youu for reading my blog (and videos)!